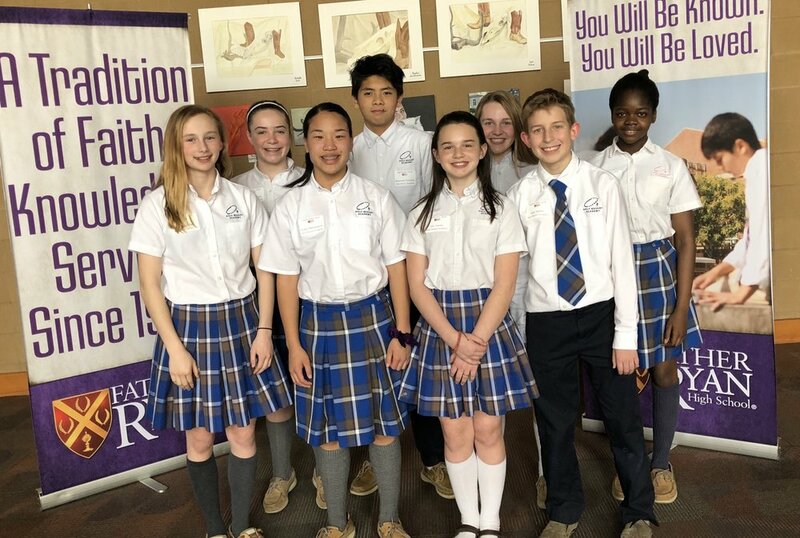 We are pleased to announce that our Holy Rosary Team placed 2nd among the 11 Diocesan schools that competed on March 13th, 2019 at Father Ryan High School. The competition included math fundamentals and word problems for 6th, 7th, and 8th grades. In the individual competition, Grace MacLaughlin placed 3rd in 8th Grade Algebra Fundamentals. Marie Gbadebo earned 2 medals by placing 2nd in 7th Grade Fundamentals and 3rd in 7th Grade Word Problems. Max Dewit placed 3rd in 6th Grade Fundamentals. We are so proud of our very talented Middle School students!